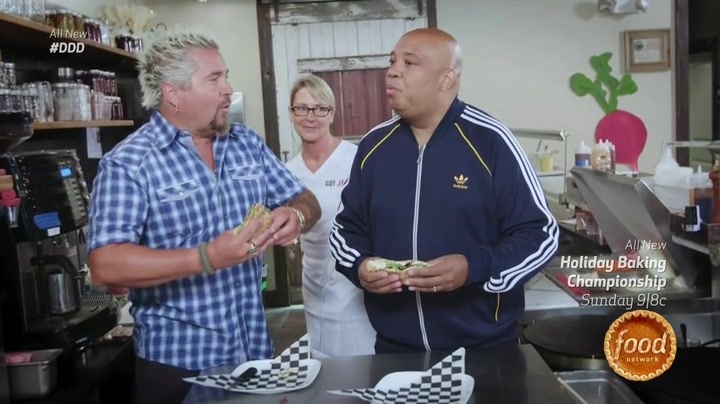 In case you missed it, Jammin’ Crêpes is proud to have been selected by Food Network’s no.1 TV show, “Diners, Drive-in’s & Dives”, hosted by Guy Fieri. 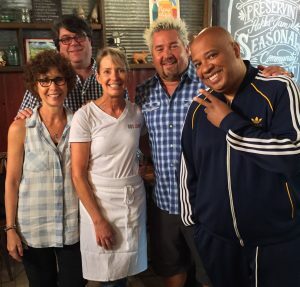 On July 28th, Guy Fieri, and his co-host for this episode, the famous rapper Run of Run-D.M.C., took over the restaurant for two full days of shooting. “Dishin’ out the spirit of Thanksgiving! 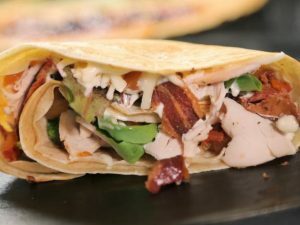 In Princeton, N.J., Rev Run jumps in at a crepe place serving their take on a turkey club and a 20-layer cake.” The episode “Turkey Giving” (Season 25, Episode 11), first aired on November 18th 2016!